The U3A Choir began in 2012, as a result of the research showing the health and social benefits of group singing. It meets in the Guild Room, in the basement of the Wesley Church, Cnr Hay and William Streets in Perth CBD. Entrance on the right hand side from William Street. It meets every Tuesday (except the first Tuesday in the month) from 10.00 am to 12.30 pm, with a refreshment break at around 11.30 am. There is no audition and visitors can attend two practices before deciding whether to join the Choir formally. There is an annual membership cost and a weekly practice fee. Please Note – Our Choir now has full membership and we will not be able to accept any more visitors at this stage. The Choir’s first practice for 2019 was held on Tuesday 12th February, and all members from last year were happily welcomed back. As a response to a free advertisement in Little Aussie Directories, we also had quite a few visitors from various areas who were interested in joining a Choir. This has resulted in nine new U3A and choir members. We are now busy learning some new pieces – several in harmony or part singing – and we are also putting together a program for our first performance for this year to be held at an aged care facility at the end of May. 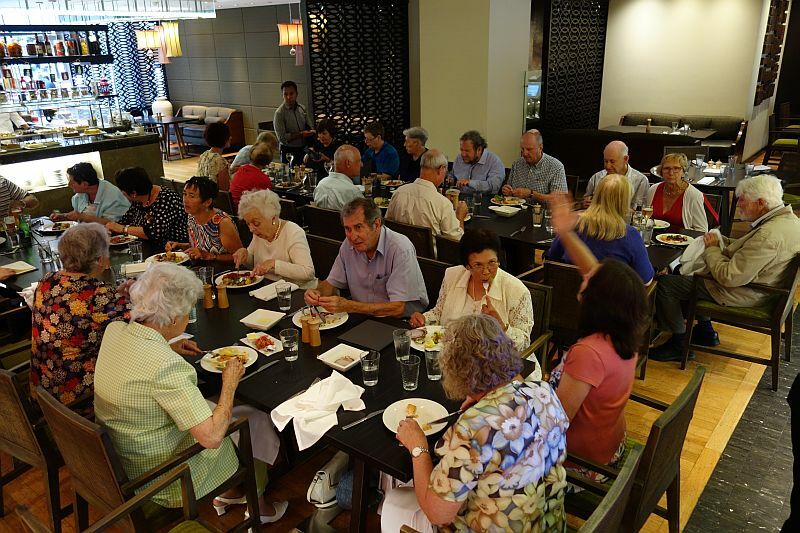 An end of year Christmas function was held on the 28th November at the Café Hyatt.